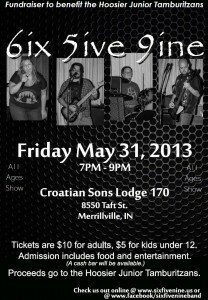 Come out this Friday, May 31st to the Croatian Sons Lodge 170, 8550 Taft St, Merrillville, IN to support the Junior Tamburitzans and see 6ix 5ive 9ine rock the house! 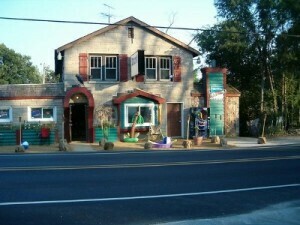 Tickets to the event are $10 for adults and $5 for children 12 years and under. Tickets will be sold at the door. Ticket price includes dinner and entertainment. For those of you who are of legal drinking age, a cash bar will be available. 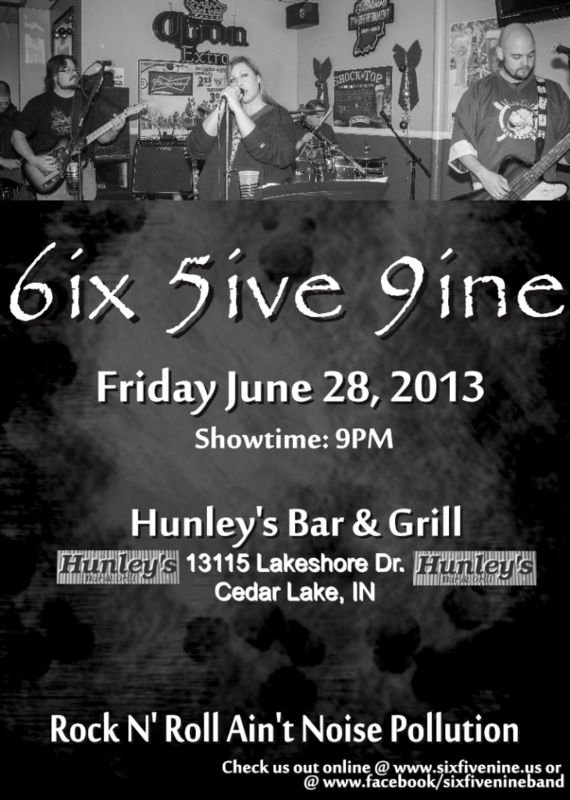 Six Five Nine will be playing at Hunley’s Bar and Grill in Cedar Lake on June 28th from 9:00pm to midnight. Come on out, tilt back a pint or three and hear the new tunes we’ve added to our repertoire. For the latest information on this and our other performance dates, please check out our Upcoming Events page.